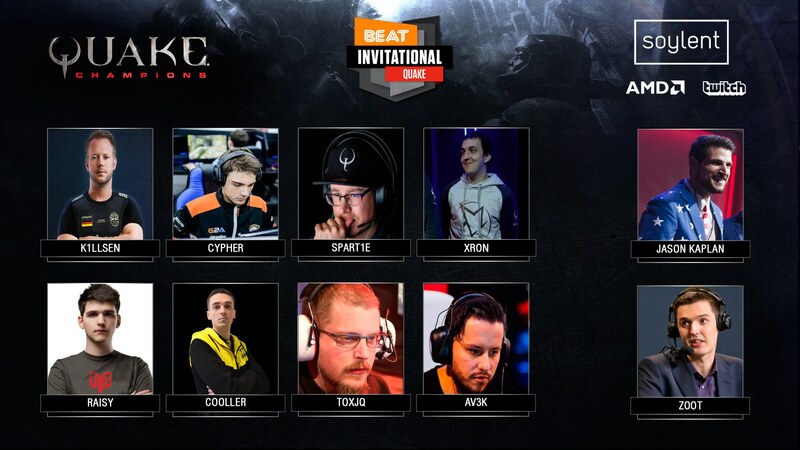 We’re happy to announce that BEAT esports will be hosting the Quake BEAT Invitational™ on March 23 – 25 live on twitch.tv/beatesports. The event is sponsored by Soylent, AMD and Twitch. Coin Flip to decide who picks first. Once determined who picks first – map selection will go ‘pick pick drop drop’ with the remaining map acting as a potential tie-breaker map. The Best of 5 Grand Final will be a straight ‘pick pick pick pick’ process. In the event of a tie-break situation in groups, direct confrontation results will be accounted for first. If there is still a tie, then map wins will be looked at before determining whether games are replayed. PrevPreviousPUBG BEAT Invitational™ by Soylent Returns for 4 more events!